On Tuesday, January 17, UBC President Santa Ono visited the Peter A. Allard School of Law for a tour of its research centres. In addition to visiting the Centre for Asian Legal Studies, the Indigenous Students’ Lounge, and the Centre for Business Law, President Ono stopped by to lend his support to the Centre for Feminist Legal Studies (CFLS). Led by Professor Debra Parkes, Chair in Feminist Legal Studies, students and faculty engaged President Ono in a discussion on a variety of topics, including the Centre’s 20th anniversary, the RISE Women’s Legal Centre, and the social media campaign #LawNeedsFeminismBecause. Professor Parks began by highlighting the Centre’s high-impact, policy-oriented research and presented President Ono with a sampling of the Centre’s most recent publications. She also drew attention to the CFLS’s community engagement, focusing on the standing speaker series. Professor Janine Benedet, Associate Dean, Academic Affairs and former Co-Director of the CFLS, next introduced President Ono to the Centre’s new initiative addressing gender inequality, the RISE Women’s Legal Centre. Launched in May as a partnership with West Cost LEAF, the RISE Centre operates to provide free legal services to low-income women, primarily in the area of family law. Professor Benedet then introduced JD candidate Elizabeth Cameron to talk about her recent experience working at RISE. 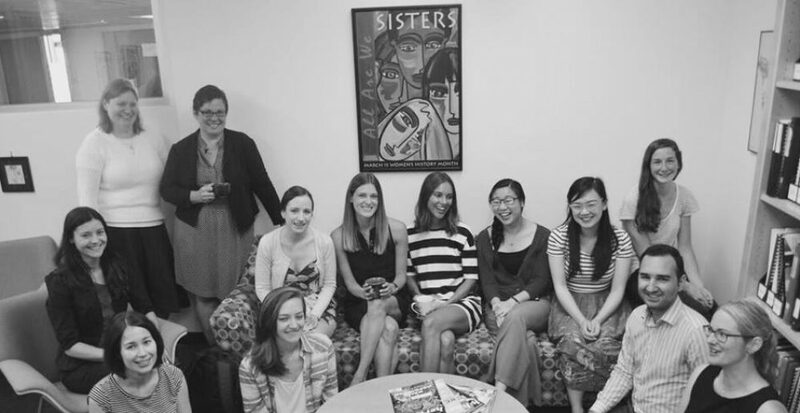 Elizabeth noted how RISE allowed her to put her interest in feminist legal studies into action and mentioned her appreciation of encountering first-hand the gendered issues around access to justice in British Columbia. 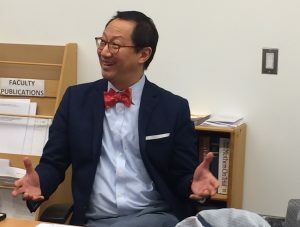 President Ono showed particular interest in this last point, engaging Elizabeth, Professor Benedet, and Dean Catherine Dauvergne in a discussion around the problems with legal aid funding in BC. Rochelle Kelava, Student Coordinator of the CFLS, expressed gratitude for President Ono and the UBC Administration’s interest in the Centre, noting the important role that the CFLS plays in many students’ decisions to study law at Allard. Rochelle emphasized that the centre fosters respectful dialogue among students, staff, and faculty on topics that may not be addressed in the JD curriculum. By the time the visit drew to a close, President Ono had reaffirmed his support for the CFLS, committing to help the Centre as it grows its Speaker Series and fundraising efforts. President Ono also expressed his interest in participating in #LawNeedsFeminismBecause, a nation-wide social media campaign to make space for our experiences and diversity to legal education and the legal profession. This entry was posted in Law School and tagged Allard School of Law at UBC, CFLS by rochelle kelava. Bookmark the permalink.